Our wines come from vineyards in Hawke’s Bay, Marlborough and Australia. 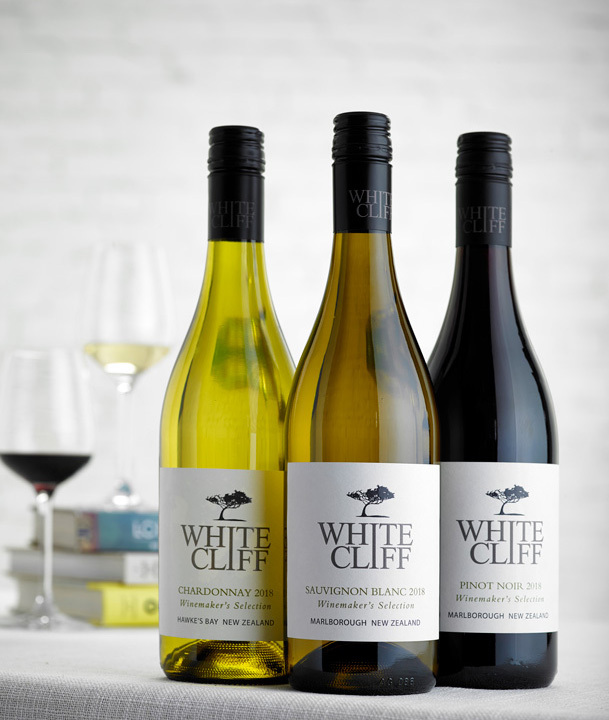 Vibrant and approachable, Whitecliff wines are easy drinking and delicious – just the right accompaniment to whatever your magic moment might be. came from a little magic of our own. We took our name from the majestic white cliffs that rise out of the river bordering our original vineyard site in Hawke’s Bay, New Zealand. Breathtaking and beautiful they captured the feeling of our Whitecliff collection of wines. we love those special moments – big or little, they happen every day, in all sorts of places. In a busy world, they’re a moment of everyday magic to enjoy – even better when it’s with friends. From vintage to vintage, Whitecliff has always created wines of high quality and consistency – and we’re passionate about keeping it that way. Our dedicated winemaking team sources the grapes from a number of select regions throughout New Zealand and Australia, searching for varietal characteristics that meet the full-flavoured, vibrant and approachable style our wines are known for. 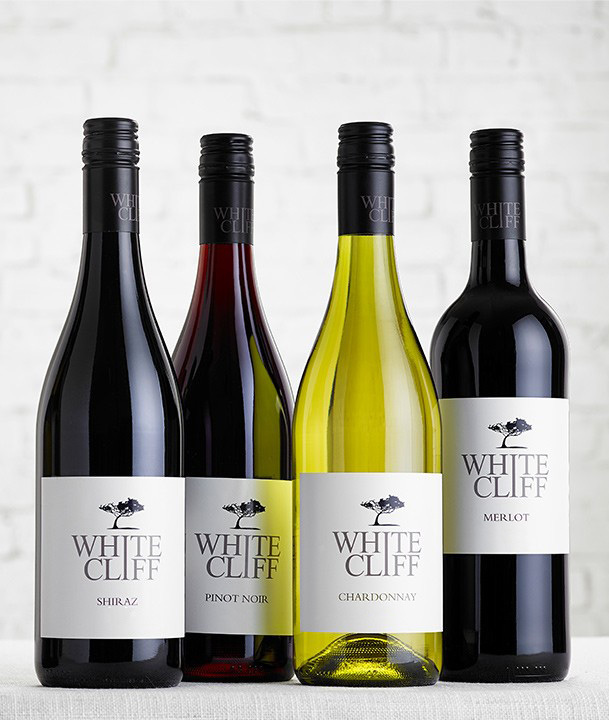 The Whitecliff range features the most popular varietals: Sauvignon Blanc, Pinot Gris, Rose, Sauvignon Gris, Chardonnay, Pinot Noir, Merlot and Shiraz. 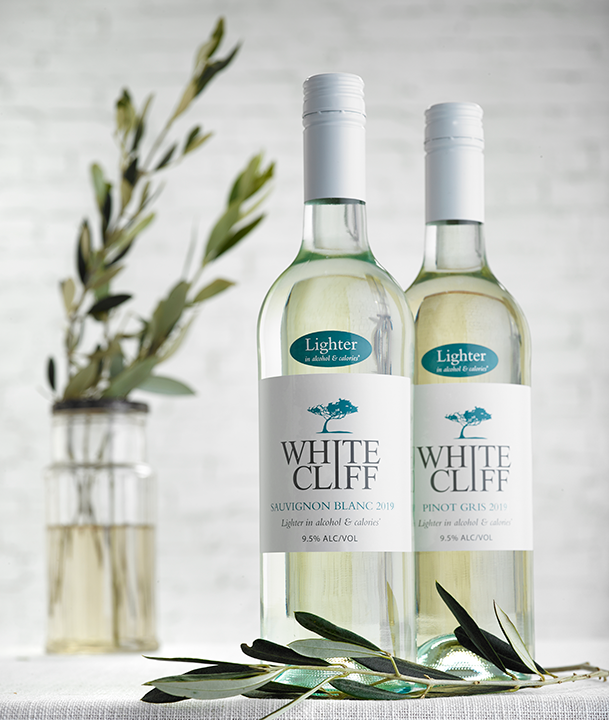 We have also two low alcohol wines – Whitecliff low alcohol Sauvignon Blanc and low alcohol Pinot Gris. 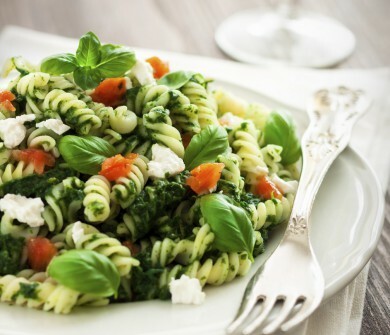 Try our Sauvignon Blanc varietals with a quick and easy pasta with pesto and parmesan. Having an aperitif with friends? 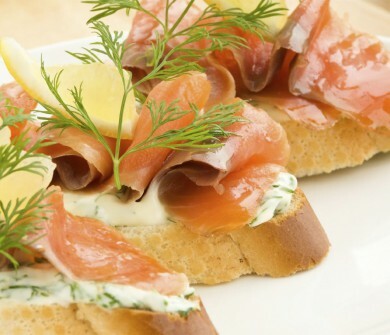 Try our lighter in alcohol Sauvignon Blanc or lighter in alcohol Pinot Gris with these delicious smoked salmon sliders. 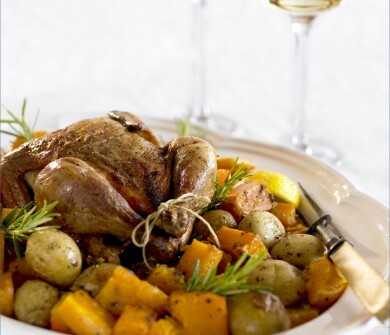 A succulent roast chicken with crispy roasties is the perfect match with our Chardonnay varietals. 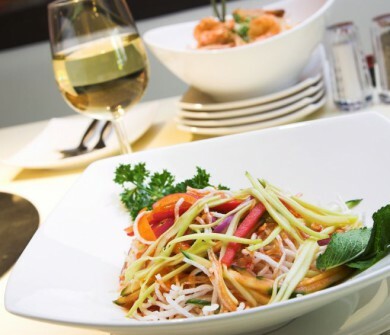 Our Whitecliff Pinot Gris with its rich and fruity notes is ideal paired with a spicy Asian noodle dish. 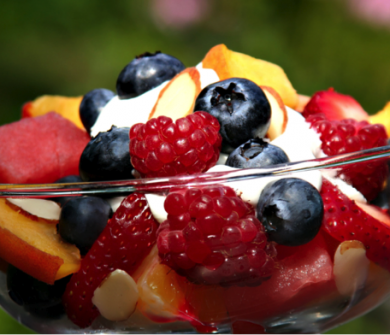 How about taking a succulent fruit salad on your next picnic and pairing it with our vibrant Whitecliff Rose? 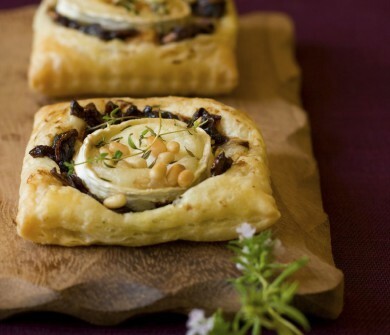 Caramelised onion and goats cheese tarts with pinenuts and a side of salad – a perfect combination!